Ed Wonsek Art Works Inc.
A new office for the Cambridge Innovation Center at 255 Broadway in Kendall Square. The Cambridge Innovation Center is getting some help to fuel its global ambitions. 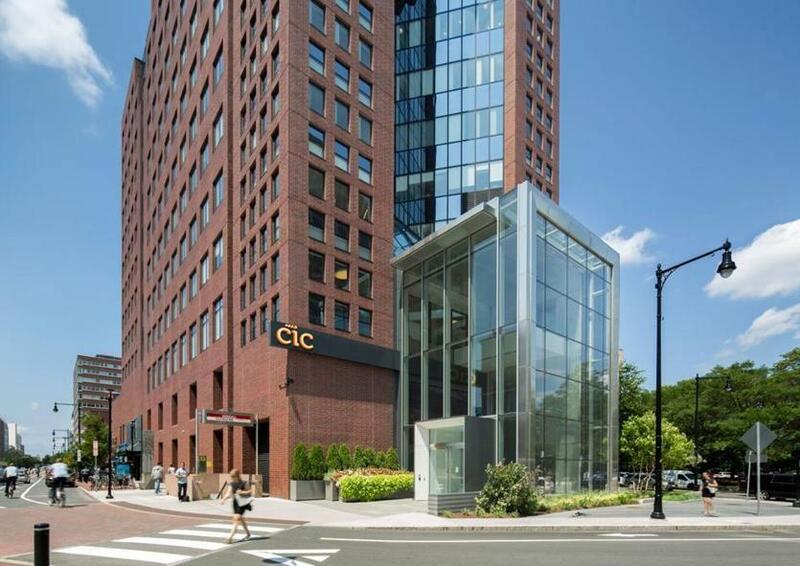 European developer HB Reavis is investing $58 million for a minority stake in CIC, a manager of shared office and lab spaces for high-tech clients. This represents CIC’s first chunk of outside funding since CEO Tim Rowe started the current version of the business in 2001. Rowe and his team would like to eventually open in 50 cities. At their current pace, that could take some time, maybe not even in my lifetime. But this investment kicks CIC into a higher gear. Rowe is now shooting to reach his goal within 5 to 10 years, which I sure hope I am around to see. The next cities in line include Warsaw, where CIC plans to open a 145,000-square-foot campus in an HB Reavis project. Rowe once thought his business would only work in Cambridge, because of the city’s dense cluster of tech and life sciences startups. At the request of a former MIT colleague of his mom’s, Rowe considered expanding to St. Louis. He eventually unveiled his first out-of-state deal there in 2013, and was surprised to see that space fill up quickly. CIC has also set up shop in Miami and Rotterdam, as well as downtown Boston, and has plans for others, such as Philadelphia and Providence. Entrepreneurs in every city want to work near each other, for a variety of reasons. Bumping into like-minded people down the hall or down a few floors can lead to new ideas or a new round of venture capital. The power of proximity is what makes Cambridge’s Kendall Square special. But Rowe is proving some of that Kendall magic can be exported, one city at a time.